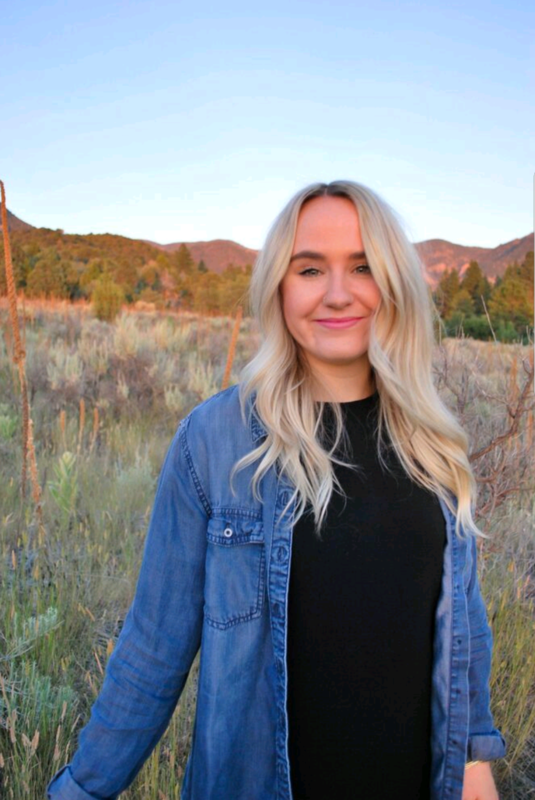 ST. GEORGE — Spring may have officially sprung on Wednesday, but while the National Weather Service is predicting mostly warm temperatures for the majority of southwestern Utah this weekend, rain and snow are still lingering in some areas. Updated March 23, 7:30 a.m. to reflect current conditions, forecasts and advisories. Mostly cloudy, then gradually becoming sunny, with a high of 67 and low of 44, with west-southwest winds of 5-8 mph. Sunny with a high of 69 and low of 43, with light south-southeast winds. Partly sunny with a high of 56 and low of 35, with south-southwest winds of 6-11 mph. There’s a 20 percent chance of showers after noon. Sunny with a high of 58 and low of 33, with west winds of 5-7 mph. Partly sunny with a high of 56 and low of 34, with south-southwest winds of 6-11 mph. There’s a 20 percent chance of showers after noon. Sunny with a high of 58 and low of 33, with west-southwest winds of 5-8 mph. According to the Brian Head Resort website, the area has received 2 inches of snow over the last 24 hours, accumulating a 92-inch base depth. Mostly cloudy with a high of 29 and low of 19, with southwest winds of 5-7 mph. There’s a 30 percent chance of snow showers after noon, with total daytime snow accumulation of less than a half inch possible. Mostly sunny with a high of 31 and low of 19, with southwest winds of 5-13 mph. 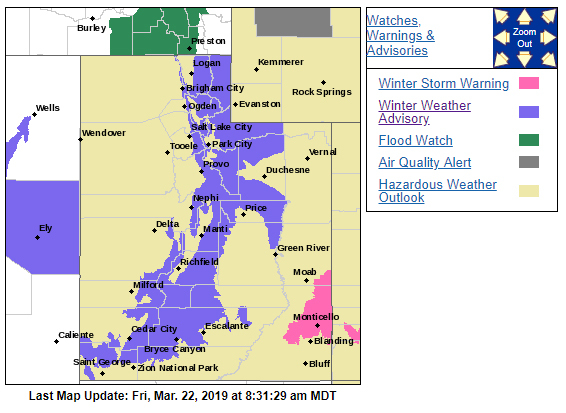 A hazardous weather outlook is in place for the western two thirds of Utah, including the following areas: Utah’s Dixie, Zion National Park, Glen Canyon Recreation Area, Lake Powell and Southern Utah mountains. Accumulating snowfall is expected mainly above 6000 feet into the early evening hours. The next storm system will affect the region this upcoming weekend, bringing the potential for accumulating snowfall back to the mountains. For the most current conditions, warnings and advisories, go to the National Weather Service-Salt Lake City office website.